Shot this in late 2007 in Fort Myers, Florida. 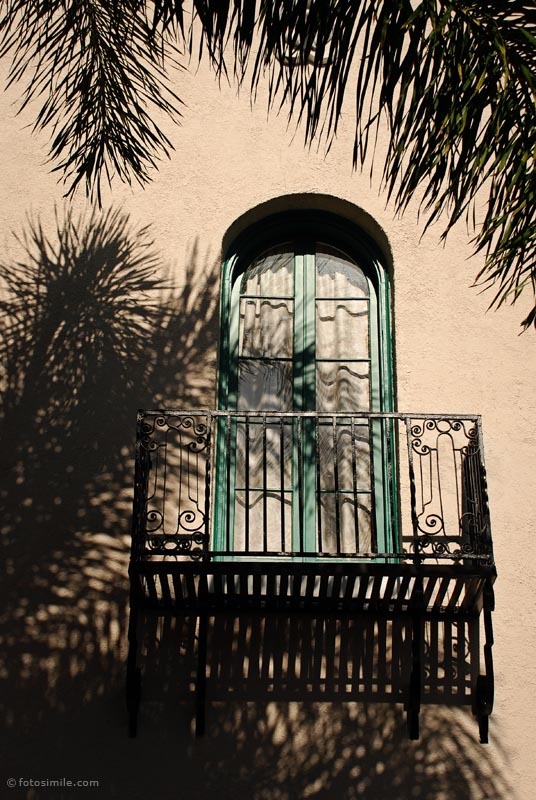 The historic downtown district has many examples of Spanish-influenced and art deco buildings—typical of the "boom time" in 1920s Florida—including this balcony I spied with the pattern caused by the shade of the palm trees. You can read more of the history of downtown Fort Myers here. The place of my birth and upbringing for most of my life. Very fond memories of Fort Myers and I'm sure it is not the way I remember it being. Wow! The textures are so striking!